This Gabriel & Co platinum wedding set has a retail value of $2900 without a center diamond. 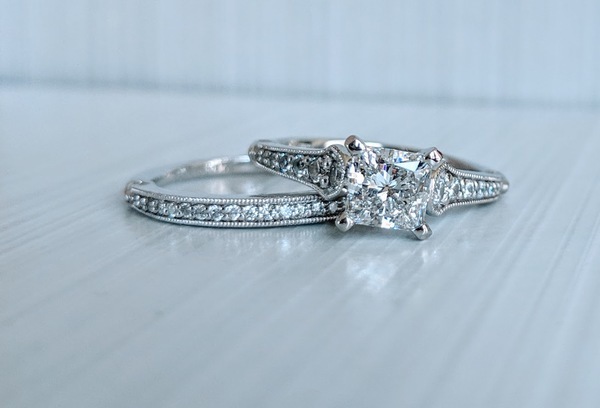 The center diamond of this set is a 1.05 carat VS2, H; center is a lab grown real diamond, not cubic zirconia or moissanite, pure carbon crystal exactly the same chemical composition as a mined diamond. Currently a size 6 and sizable.